You know you’re not trying to scam anyone so, what’s the problem? Even though you’re not misusing people’s private information, hackers can. When users visit your site and submit information (even if it’s just an email address), their personal info is transferred over a server to reach its destination. With the right skills, a criminal can intercept that information without alerting you. You can stay compliant with Google Chrome updates and protect your site from hackers by migrating to HTTPS (the S stands for Secure) with an SSL Certificate. The Certificate encrypts the information submitted on your site so that only someone with the right credentials can decrypt it. SSL Certs have two keys, a private one and a public one. The public one encrypts the connection and the private one unlocks it. Without both keys, criminals can’t abuse the information as it transfers. You can avoid these issues and keep information secure with an SSL Certificate. Google will reward your site with better search rankings and no more warnings to scare away potential visitors. Not only will you make Google happy, but you’ll establish credibility with your customers when you have an SSL Cert. Before you start searching for free SSL Certificates, try to understand the different types so you can determine which one works best for your needs. There are three main types of SSL Certificates (Domain Validated, Organization Validated, Extended Validation) and two additional types for multiple domains and subdomains (Multi-domain and Wildcard). Domain Validated (DV) SSL Certs are the most common and provide the lowest level of security. If you want to get a certification quickly, the DV Cert doesn’t take long to acquire. This type works for sites that aren’t collecting personal data like credit card info or social security numbers. DV Certificates will ensure your domain is registered and verify there’s an administrator to approve the request. While effective at protecting your visitors browsing activities, DV Certs don’t include subdomains or business credentials. You can find Domain Validated Certs at pair Networks under the name, pairSSL Positive, for only $10 a year. We recommend pairSSL Positive Certs for personal websites, internal-use sites, and for those who are just getting started with SSL. The Organization Validated (OV) SSL Cert requires a couple days for implementation. Not only are agents verifying your domain ownership, but also your organization information such as name and location. The OV Cert works for a single domain and is recommended for businesses and organizations that require more security than a DV Cert. 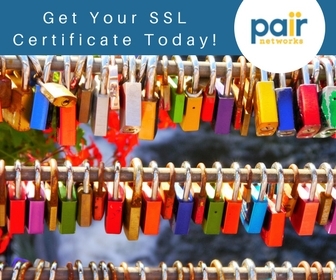 You can find Organization Validated Certs at pair Networks under the name, pairSSL Basic, for $59 a year. We recommend pairSSL Basic Certs for content-based sites with no payments. Extended Validation (EV) SSL Certs provide maximum security and require three days for verification. For this type, the legitimacy of your business is verified in addition to domain ownership. 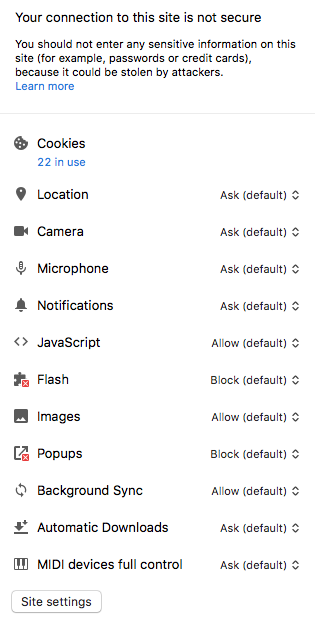 With EV Certs, your customers know you’re running a verified e-commerce site because of the green lock icon in the address bar. 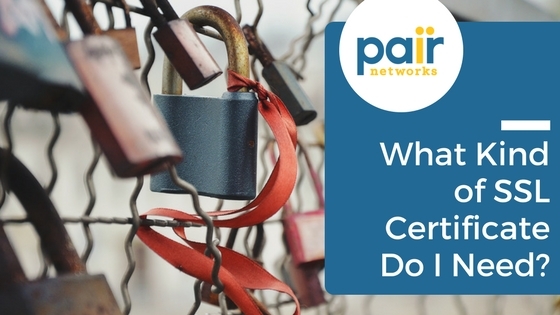 You can find Extended Validation Certs at pair Networks under the name pairSSL Extended Validation for $499 a year. We recommend pairSSL Extended Validation for all online businesses, regardless of size. The Multi-Domain SSL Cert will secure multiple domains, top level domains (TLDs), and subdomains. The limit to how many sites you can verify with one certificate depends on your registrar. This cert is built off of EV, OV, or DV Certs and works for Microsoft Exchange and Office Communications servers. A Wildcard SSL Cert will secure your domain and numerous subdomains. Again, the number of subdomains depends on your registrar. The WildCard Cert is available for both DV and OV Certs. You can find the Wildcard Cert at pair Networks under the name pairSSL Wildcard for $449 a year. We recommend pairSSL Wildcard for users who need to verify a single domain with multiple subdomains. Because not all providers offer the same options for each of their SSL Certs, understand your needs before buying. Determine whether you need to verify a single domain, multiple subdomains, or multiple domains. If you need to protect multiple properties, you can weigh your options based on price and quantity. For example, some providers offer Wildcard Certs with unlimited subdomains. Do you really need unlimited subdomains when another provider can offer a Wildcard Cert with a fixed number of subdomains for less? Next, figure out what level of protection you need. This will depend on what kind of information you want your website visitors to submit on your site. For e-commerce websites accepting payment information online, you require maximum protection and should consider an Extended Validation Cert. Now that you know everything about SSL Certificates, can you tell which type of certificate we have?